Okay, this is one meat dish I’m seriously digging this winter. It’s my mother’s hand-me-down mutton stew recipe in an easy avatar. My mom’s dish tasted divine but also involved lots of cutting and chopping and frying. But me being me (read that LAZY), I wanted the same superb taste without having to do all the grunt work. 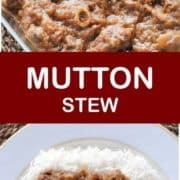 So, I figured out a way and came up with this modified mutton stew recipe. In my mom’s version of the dish, the onions (5 big ones, no less) had to be sliced fine and then fried golden brown, the ginger and garlic also had to be chopped fine and fried. 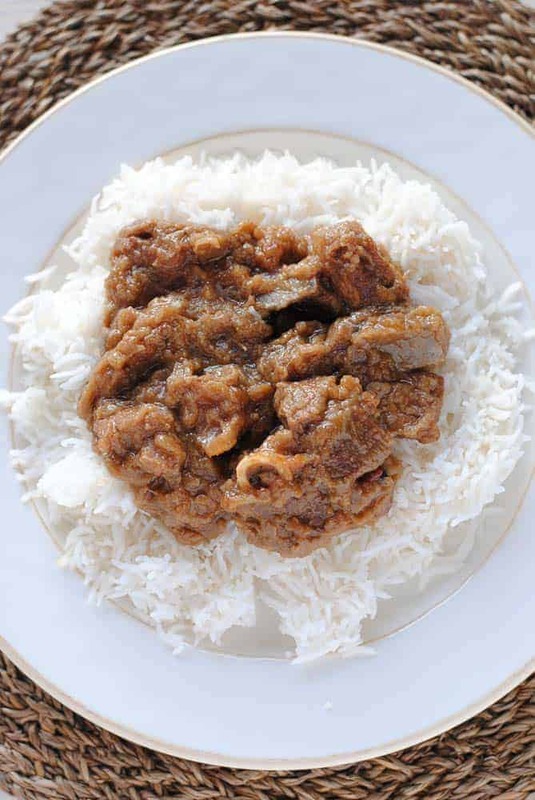 Then the mutton was mixed with it and slow-cooked in a heavy-bottomed pan till it was tender and soft. In my version, gone is all that slicing and dicing. I cut the onions thick (cut them as thick as you like … it doesn’t matter in the end, trust me) and don’t fry them at all. I use ginger-garlic paste so I don’t have to chop the stuff. And I’ve banished the heavy bottomed pan, I use my fast and trusty pressure cooker instead. One step that I do make sure I follow is to brown the meat on high heat after the cooker has opened. This is something I don’t want to skip if I want that lovely reddish brown, stewed look to the mutton. Who wants a pale, sickly looking meat broth with onion pieces floating in it? 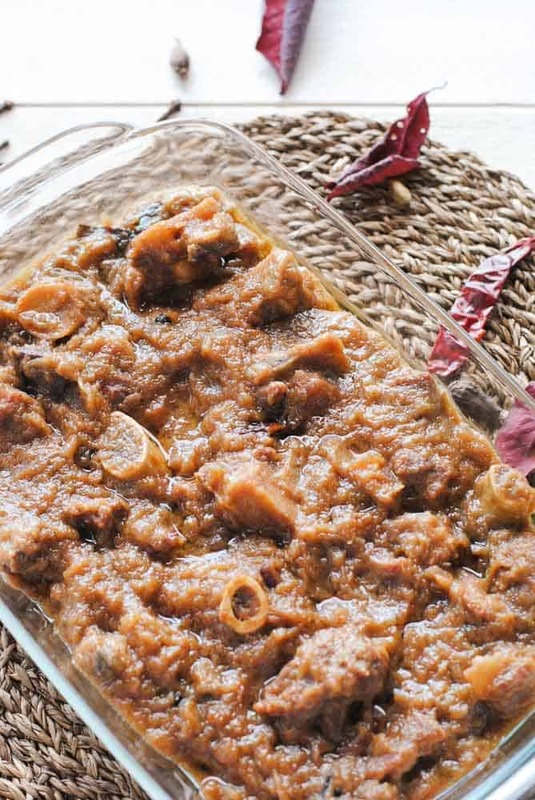 Hearty and satisfying mutton stew! And the best part is that it’s so easy to make. Loved it!